Product description: Barrel-aged beer inspired by Greek Retsina wine, a white wine traditionally made in barrels or amphorae that were lined with pine resin. Hand-harvested Roussanne and Viognier grapes from California were transported to Jester King and put into one of our foudres, where we foot-stomped them prior to adding mature, barrel-aged sour beer to begin the refermentation. After refermention was complete, the beer was racked to stainless steel and a small amount of rosemary harvested from the Jester King farm was added to the tank to create a flavor reminiscent of the pine resin character of Retsina. More about this beer here. 9.5% ABV. Sacred Vessel looks impressive even before the cap is pried off. Classical Greek red and black figure style artwork is nicely incorporated onto the label, which mimics the decoration one would have seen on ancient Hellenic vessels that would have held wine among many other things. That level of detail is rarely found in beer artwork. 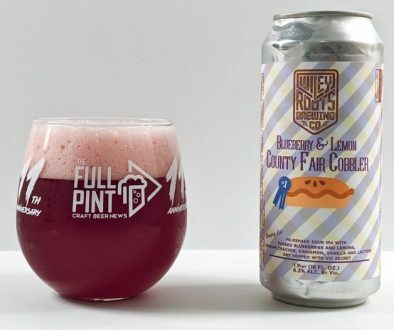 Like SPON Muscat, which I recently reviewed, Jester King continues to experiment with sour ale and wine hybrids. 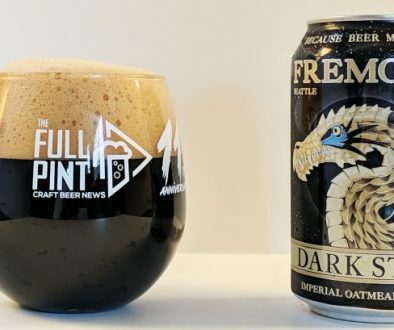 It’s an ambitious beer, but how does it taste? Popping off the cap, Sacred Vessel needs some coaxing to develop a head of foam as carbonation is lower than expected. With some exaggerated pouring from a height, a thicker head of foam develops atop a hazy, deeper golden colored liquid. It looks great in the wine glass. Moving on, the aroma is immediately vinous with a buttery California Chardonnay wine character such as Far Niente Chardonnay, which is probably the biggest California Chardonnay I’ve tried in the past. Almost nothing at this stage says beer to me, which is part of the fun. The first few sips continue that analogy with big wine as this has a huge body for a sour beer. There’s ample residual sugar that really lets the complex mix of flavors explode. Spiced dark orange, mulled red wine, cinnamon, tannic fruit skins, and ripe strawberry cascade from the front to the back of the palate like you might expect from a bigger red wine. Lactic acid dominates with a creamy, coating mouthfeel. Citric and acetic acids are thankfully undetected. I’m not a wine expert, but it seems that Roussanne and Viognier, both white grape varietals, can be used for full-bodied wines and both are frequently blended into red wines. That is to say, I’ve tried a few blonde sours with white grapes incorporated before, and none of them taste anything close to Sacred Vessel. This tastes almost the opposite of how it looks. It’s bold, tannic, and big in every sense. Alcohol is huge at nearly 10%, sugar is at the 4/10 level vs. most sours where sugar is at 0/10, and acidity is toned down very nicely to 5/10. 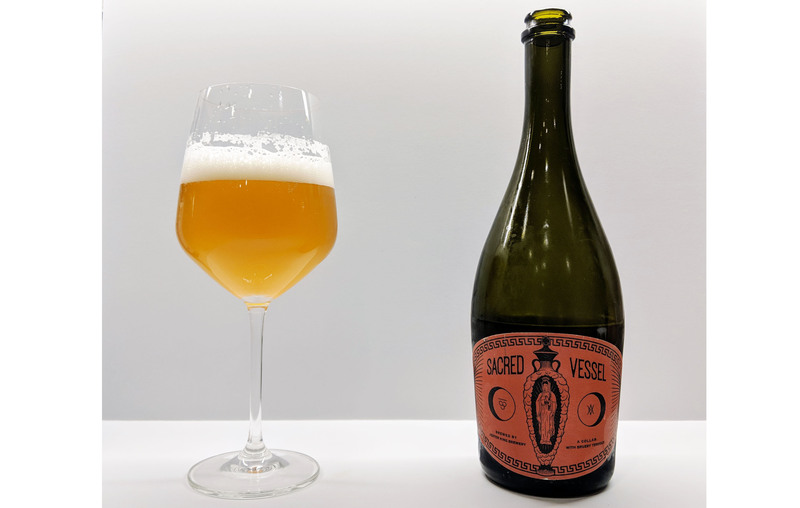 Instead of the usual flavors of lemon, nectarine, and saltwater that I would expect in a blonde American sour, Sacred Vessel flips that around to have darker dessert flavors and way more booze and body. I said earlier this month that Jester King’s SPON Muscat was a new addition to my personal Top 50 list. I think Sacred Vessel belongs on this list too. 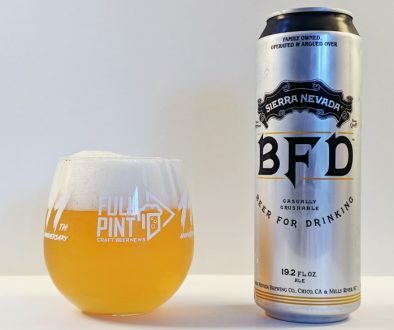 It’s a much bigger beer, though, with less finesse and is more in-your-face outstanding. If only for the pure shock of trying something that tastes so unique, I would urge sour enthusiasts to seek this one out. Wine lovers I think will appreciate how it has incorporated these special grape varietals, which we never see added in beer. Even if SPON Muscat was a more “perfect” sour, Sacred Vessel is the definition of cutting edge. It’s a milestone beer in my opinion for both breweries.